Because we are constantly improving our skills and education. Medicine, including dietetics, is a field that is developing dynamically. By acquiring the latest knowledge we can more effectively solve your health and consmetic problems. Five, even small meals a day raise insulin levels. High level of insulin is associated with: increased hunger, increased appetite for carbohydrates and tendency to hypoglycaemia, adipose tissue accumulation, feelings of drowsiness and fatigue, increased insulin resistance in tissues, induction of inflammation, induction of carcinogenesis processes, and in consequence with conditions such as diabetes, polycystic ovary syndrome, recurrent inflammation and even cancer. Three meals a day make it possible to stabilize insulin at its proper level, burn adipose tissue, neutralize hunger, unlock FOXA2 proteins responsible for stimulating physical activity and vitality. Not all three meals a day will give us insulin stability and its proper rhythm, and provide us with everything our body needs. In creating meal plans for our patients, apart from many other aspects, we take into account: the incretin effect (insulin release dependant on the influence of hormones released by gastrointestinal tract cells), protein potential or glycemic load (not the glycemic index). Most importantly, proper meal creation does not have to make the meal complicated itself. Our recommendations are high medical value, and do our best to make them easy to apply and prepare. We rarely work with strictly defined menus. They are needed only in particular situations, such as a shock diet, which aims to stimulate metabolism or motivate the patient. In a particular one day menu imposed by a dietitian – 25g of carrot, 30g of kale, 45g of kohlrabi and 45g of brussels sprouts – first of all, patients do not feel comfortable; secondly, they make dietitian’s recommendations and not their own meals; thirdly, patients do not fulfill their current body needs. Each of us knows the time when we love eating a particular vegetable every day, all the time. Then, suddenly, the desire for the product disappears. What does it mean? That the body needed some ingredient and balanced its own deficiencies. Our body is very clever, knows what it needs and we should learn to listen to it. As we are not wiser than our patients bodies, we pay a lot of attention to set up a whole group of suitable products you can choose from – products – that you feel like eating right now, you can find in the fridge or in the nearby store. This way our patients are independent, able to create meals also when the counselling process has finished – which translates into a high percentage of patients maintaining the same result, as obtained during the cooperation. Time spent on searching for “45g brussels sprouts for tomorrow” meal, patients may dedicate to themselves. Very often, calorific value is the only information given about particular diet. This is not the most important indicator. For example: consuming 2000 kcal / day of protein itself will probably decrease body weight; by consuming 2000 kcal / day including only simple carbohydrates, the body weight will probably increase. Much more important than the calorific value, is the construction of a nutritional plan, which will allow us to maintain a proper balance of glucose-insulin metabolism, protein potential, acid-base homeostasis; and make it nutritious by minimizing both deficiencies and excesses. When all that points will be taken into consideration, then the calorific value of the given plan should be considered. Immune system is also influenced by insulin levels. Excluding all products that induce reactions is not a solution, as without regulation of the immunomodulatory in the form of insulin, full/desired effect won’t be achieved, and there is a high probability that protein, vitamins or micronutrients deficiencies will occur, as a result of impoverished diet. In most cases there is no need to exclude all the products that have reacted in the test. 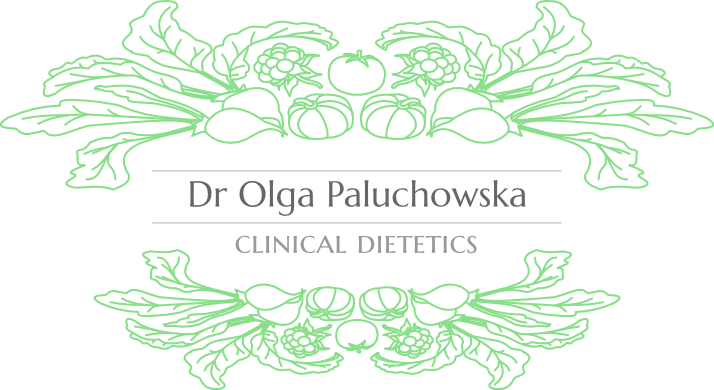 It is important to exclude the most important ones, and this is determined by the result of a credible intolerance test, an interview with the patient and proper knowledge about particular food products and interactions among them.